Ship's Bell rings half hourly bells in the traditional Naval patterns, and displays the current watch so you can keep track of your Naval day. 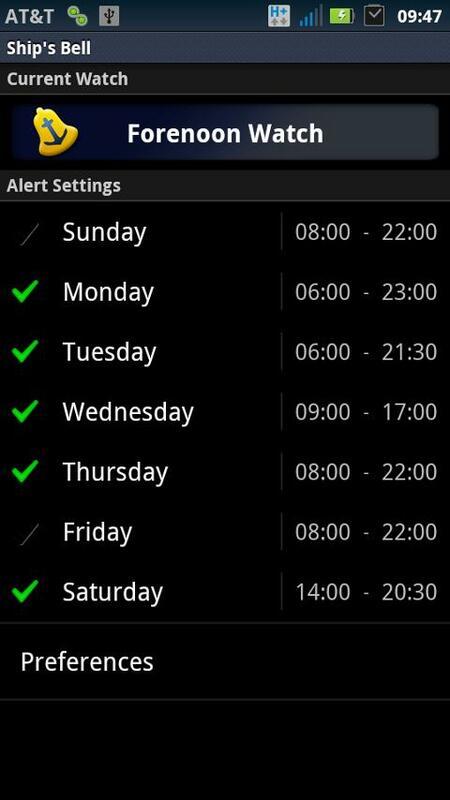 Use the optional widget to track the current watch on your homescreen. Excellent for active sailors, veterans, and Navy enthusiasts!